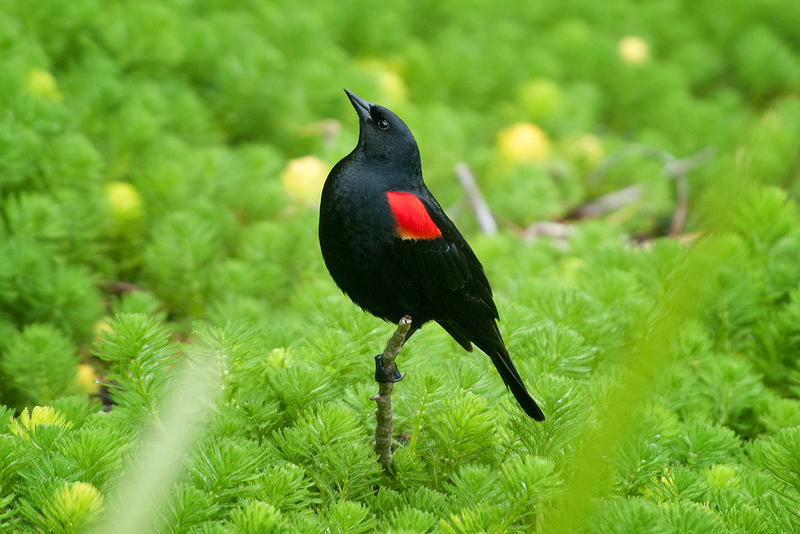 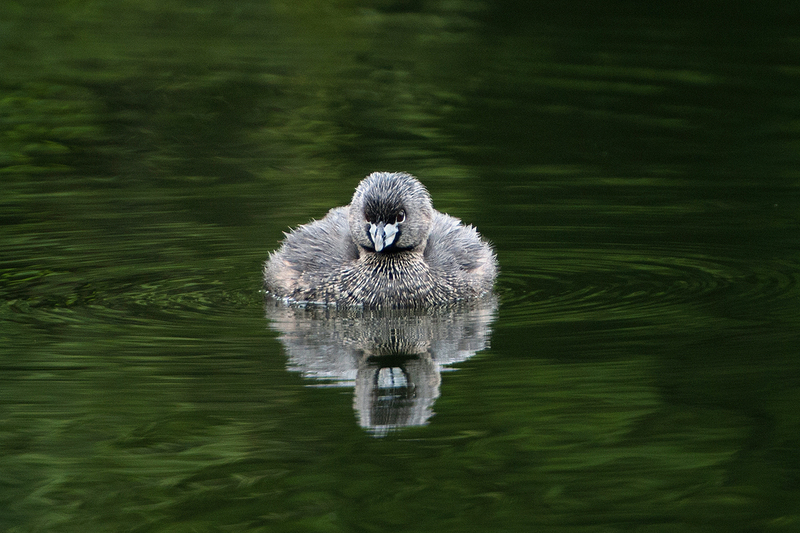 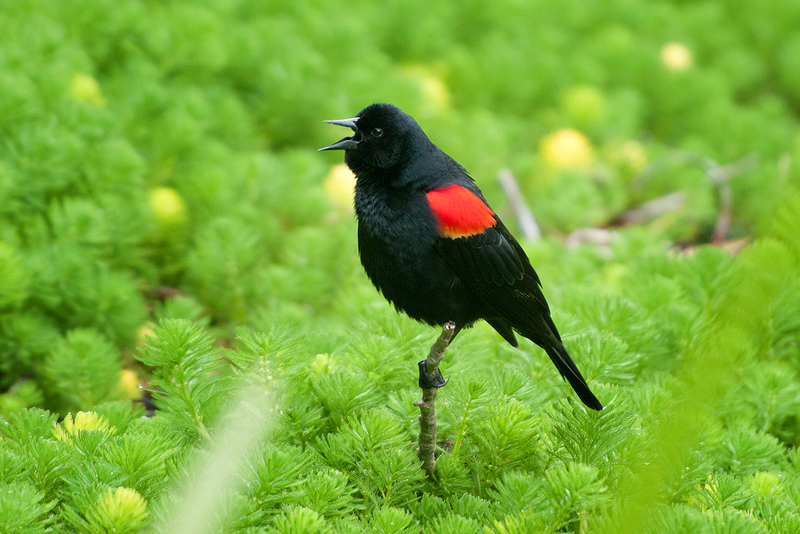 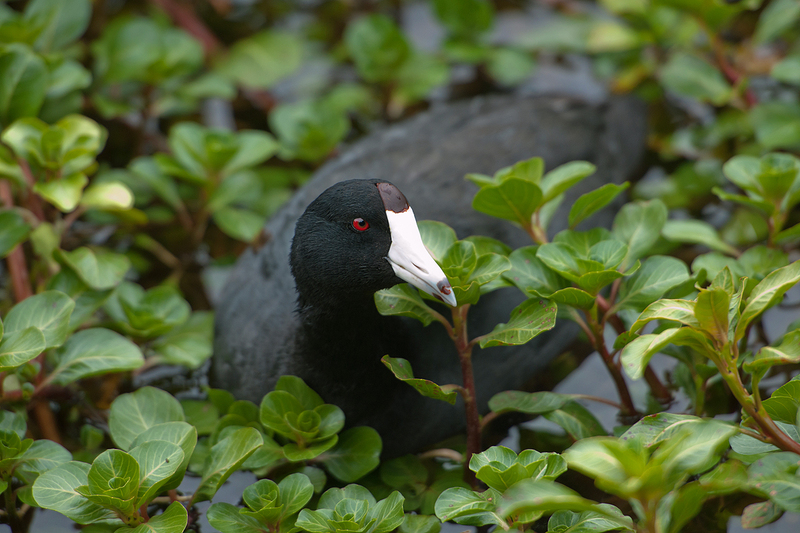 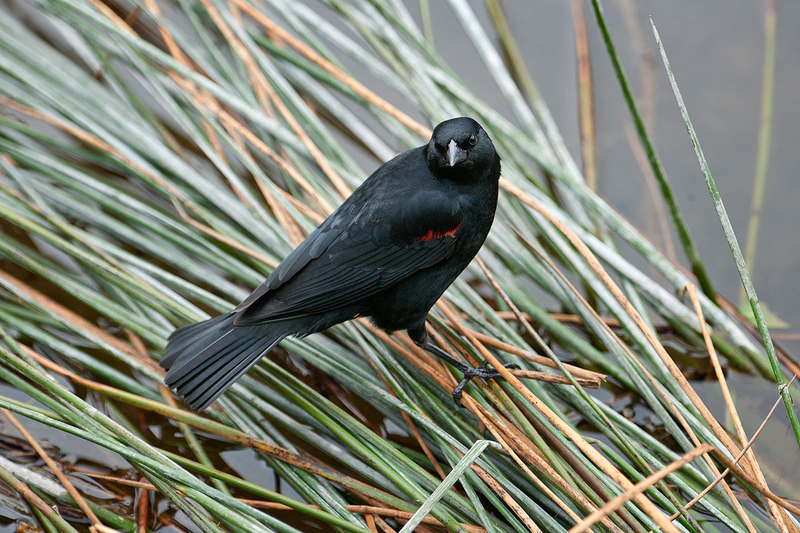 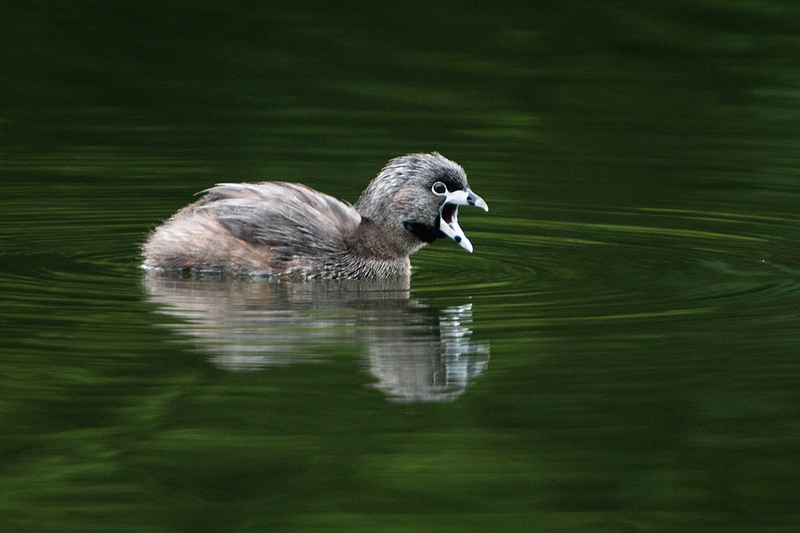 American Coots are nothing if not full of character with their grunting calls, territorialistic temperament, dinosaur feet, and determination to dive – plump and buoyant as they are. 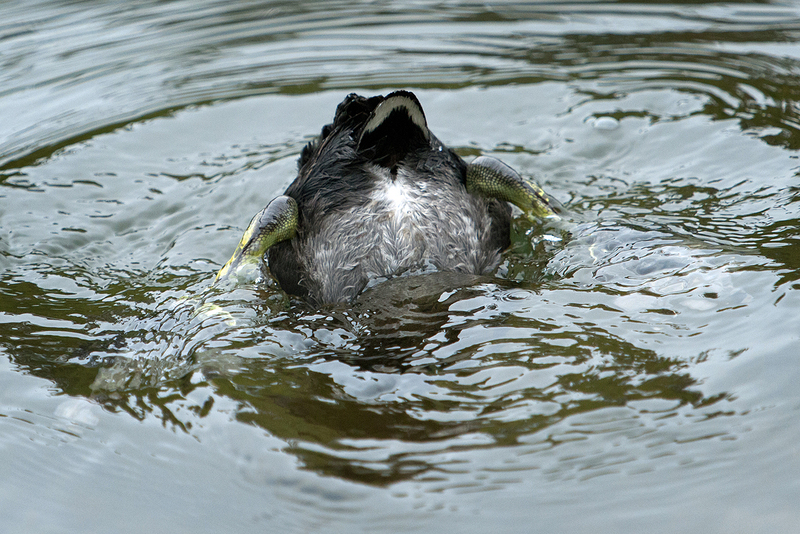 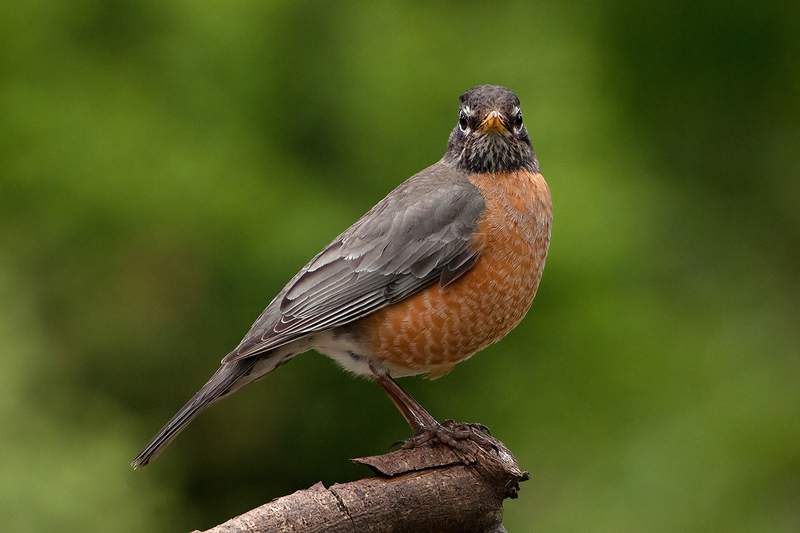 Finding the surface again is easy… just stop what you are doing and a second later you pop back into the world above. 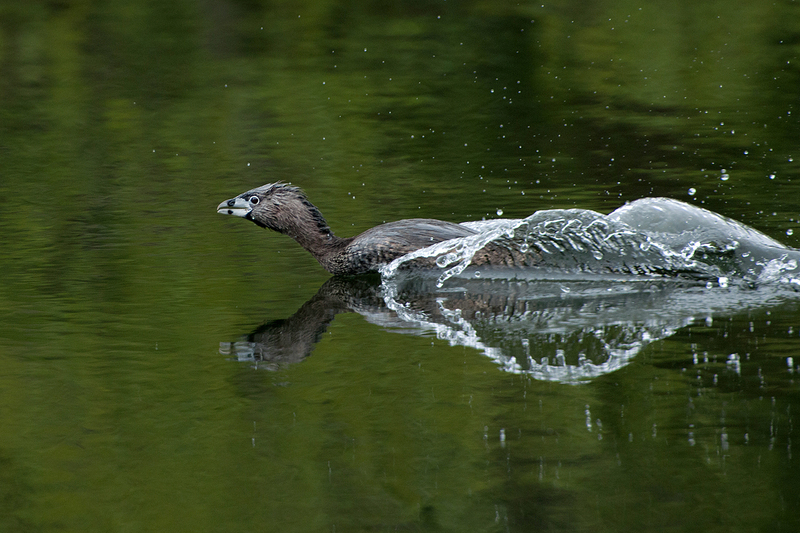 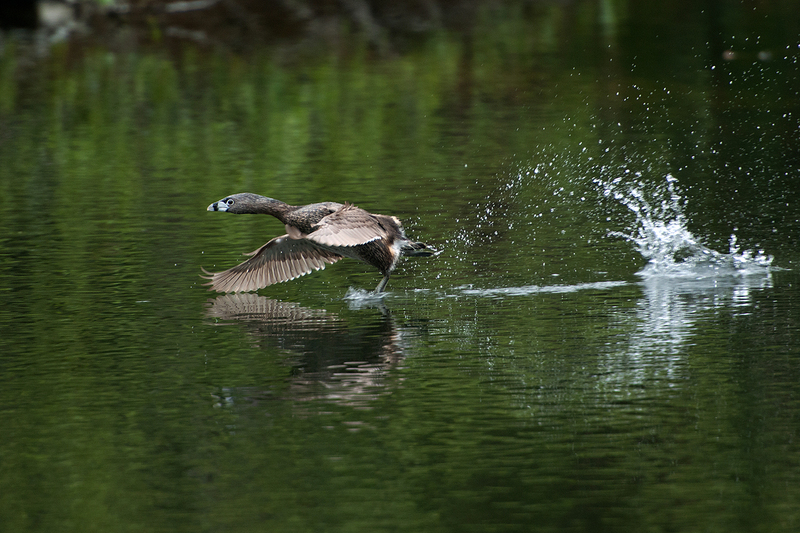 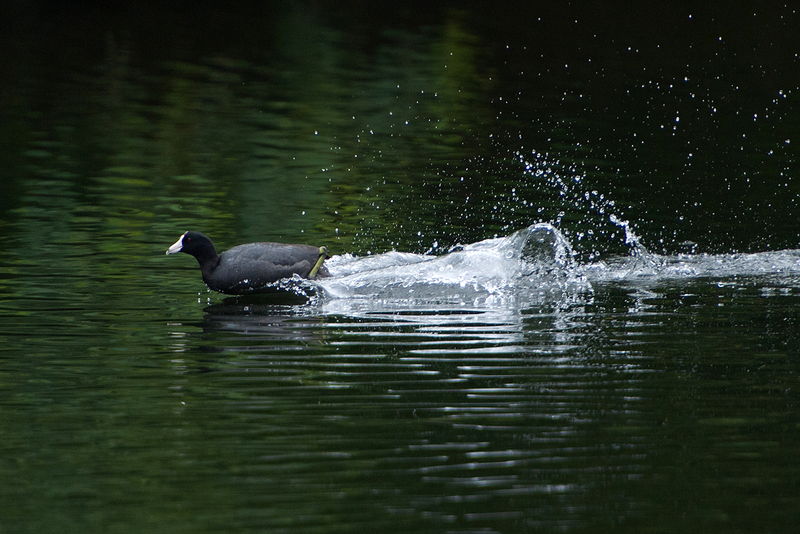 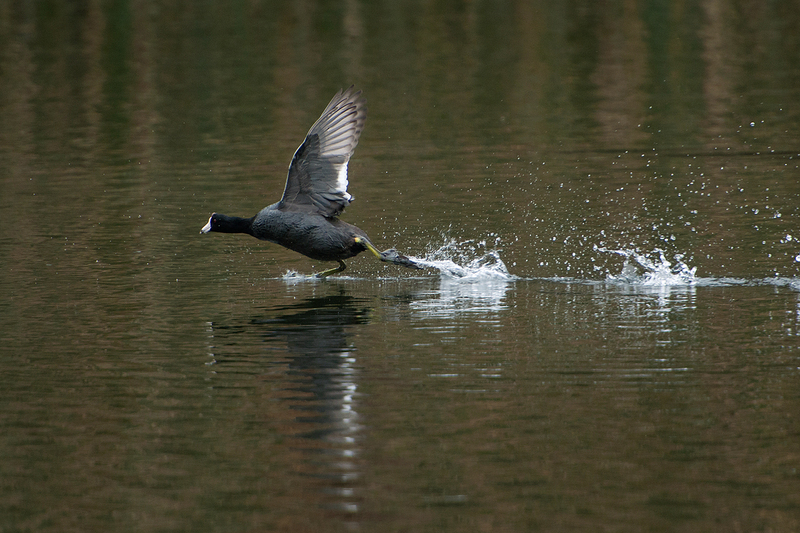 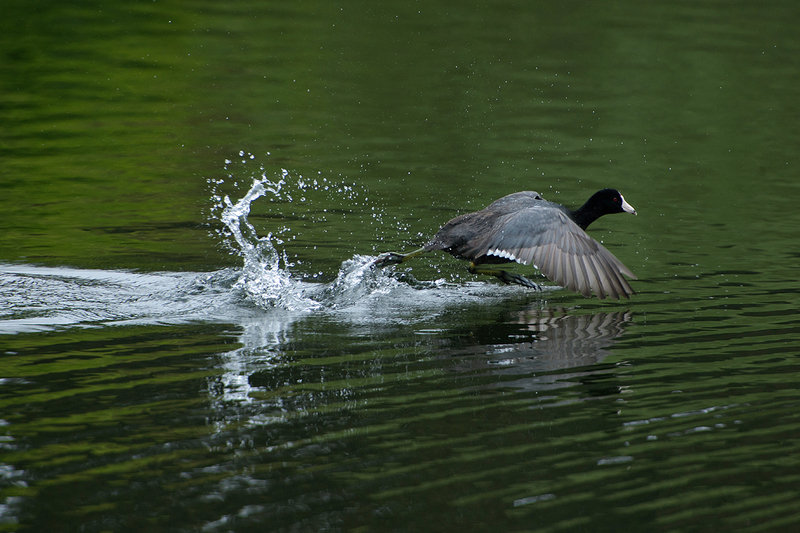 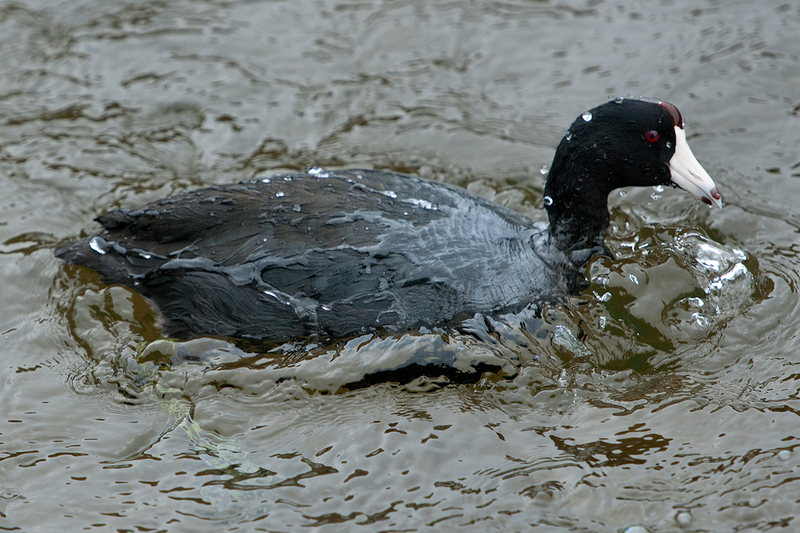 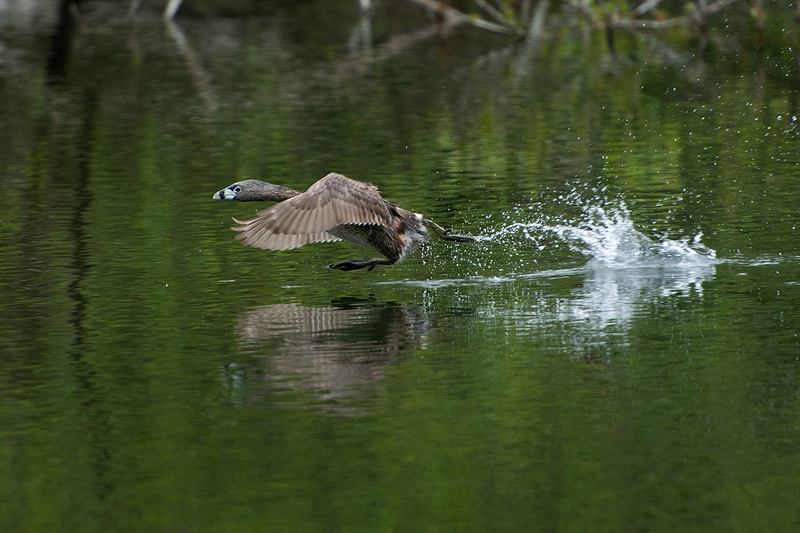 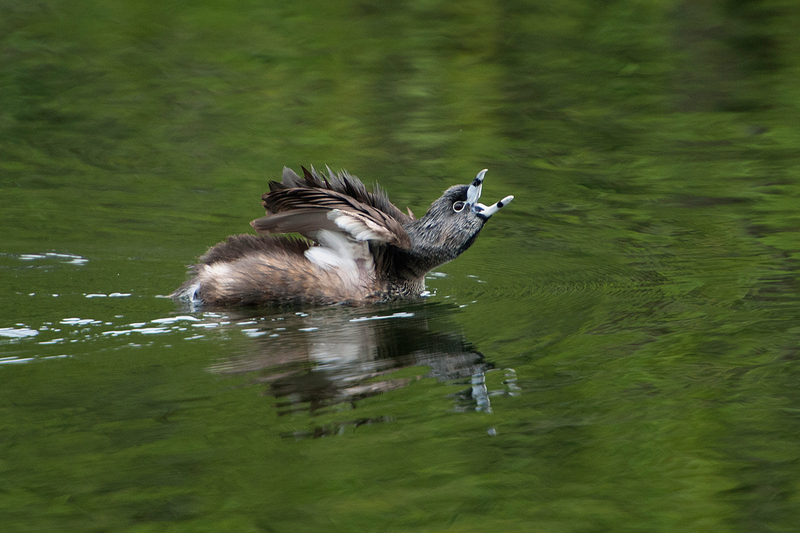 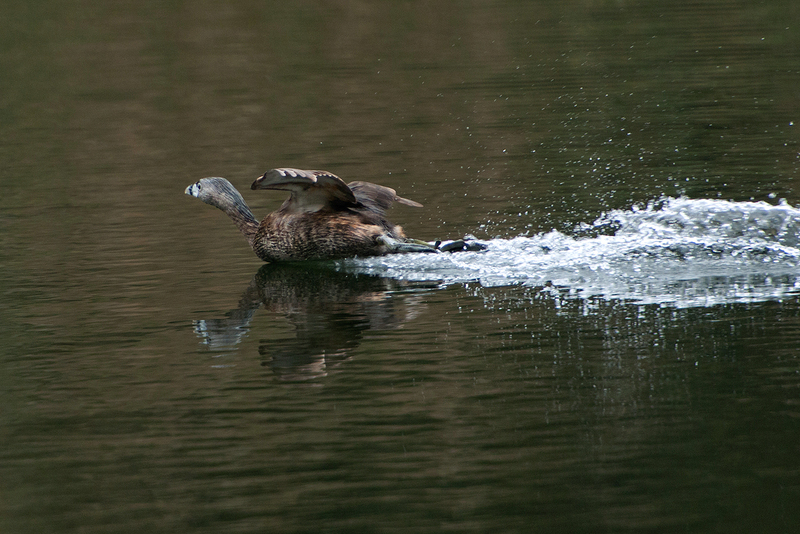 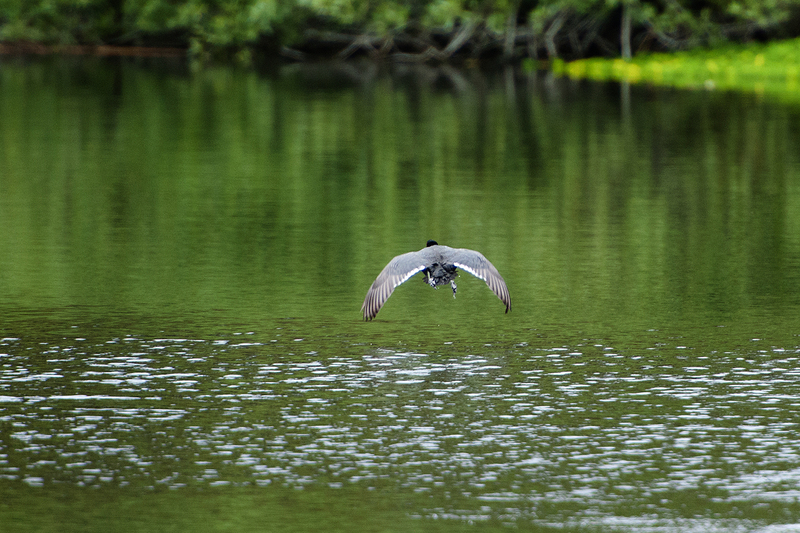 Oh the rarest of sightings… a Coot in actual flight. 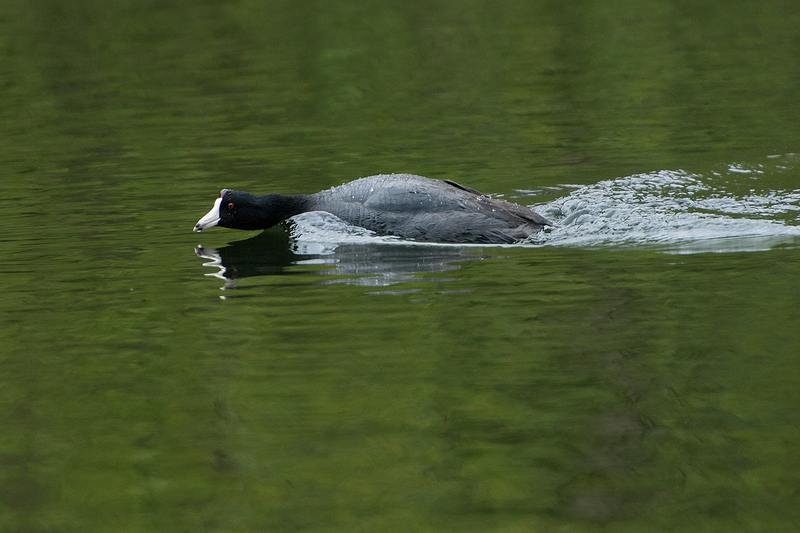 I think I might have hallucinated this right into the camera. 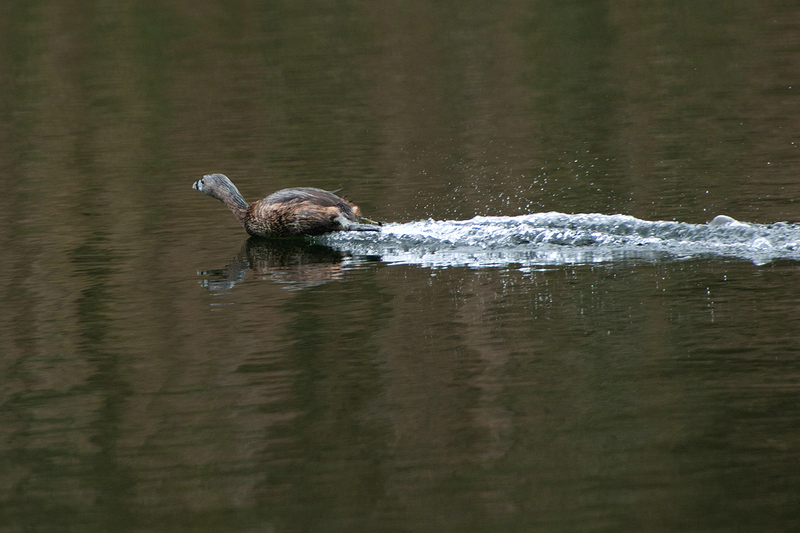 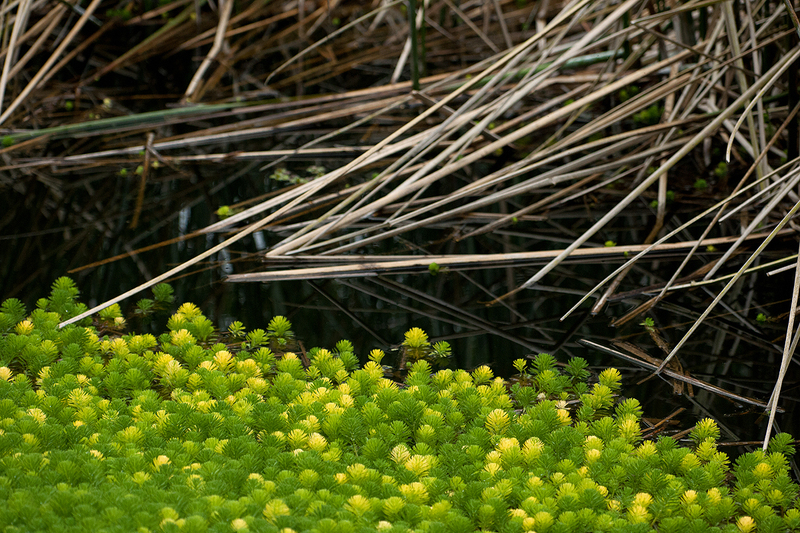 Each little foot pounds the water’s surface for a split second and the pitter patter can be heard clear across the lake. 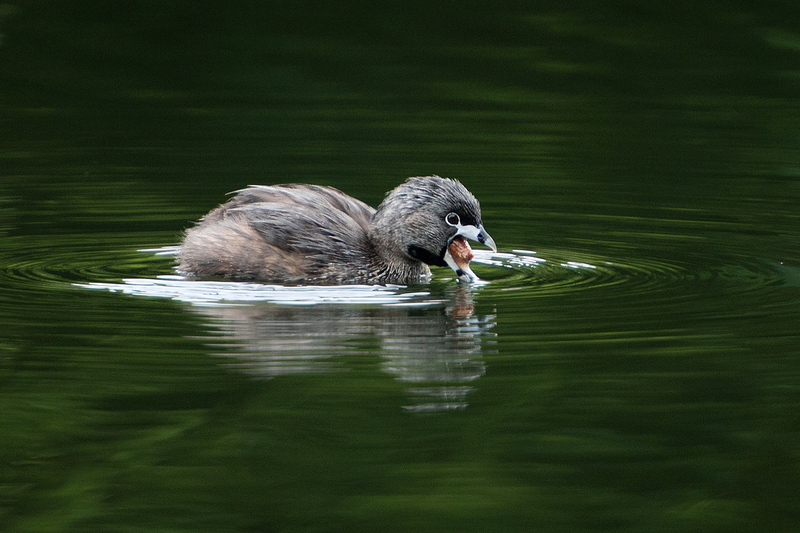 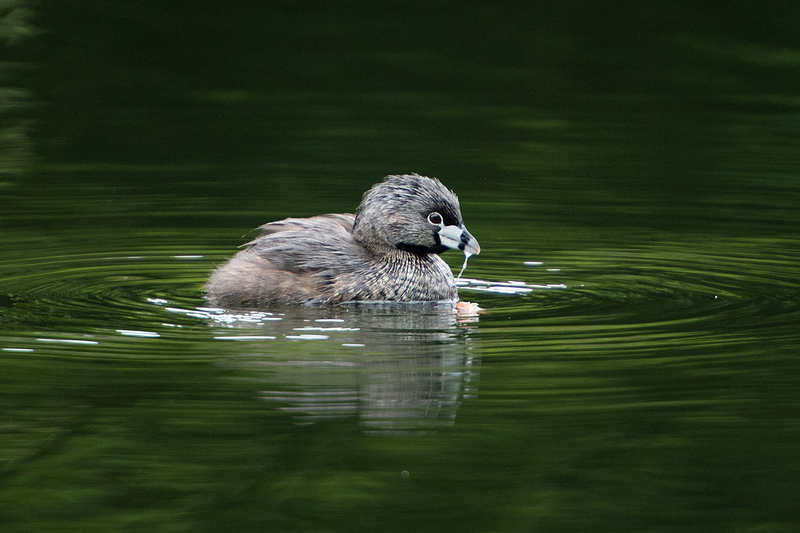 Hanging out at North Lake in Golden Gate Park last Sunday I watched the Pied-billed Grebes meandering around in all their fuzzy glory, chasing each other and delineating their territories. 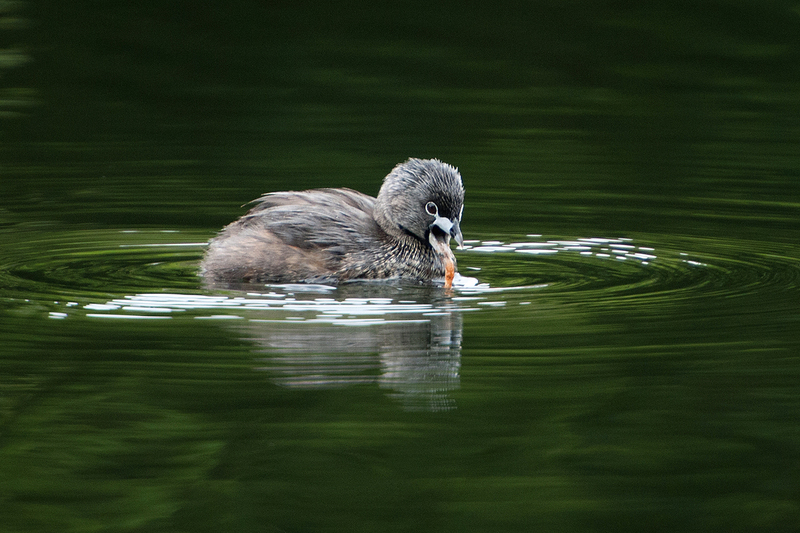 This one took a break from the festivities to bathe, have a drink, and then do something I’ve never seen a Grebe do… expel a pellet. 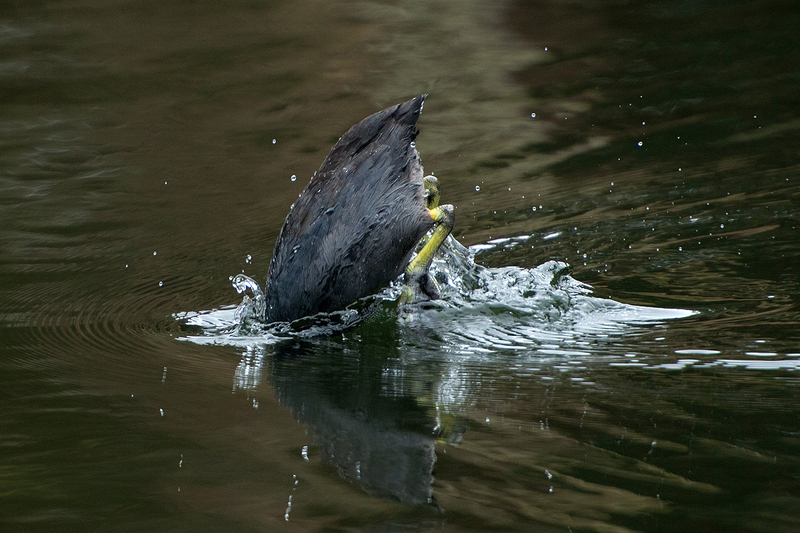 Here is the preparatory stage… working it up the gullet.